Would you like to give someone a great gift? Do you have a partner, relative or friend that always wanted to play the drums? Maybe they would like to make a recording or just want to improve some recording or drum skills? 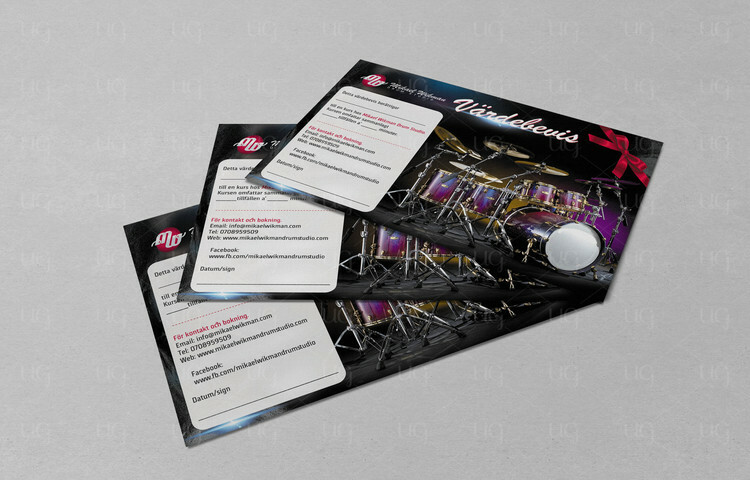 Gift cards for drumming, studio lessons or studio recordings can make a very unique gift. Buying a gift card means that the person receiving the gift can book their session for a time that suits their schedule. You can just specify the hours, occasions and the subject.